(2014/History Of Soul) 114 tracks with 36 page booklet of notes, discography, rare photos, ads and label pics. 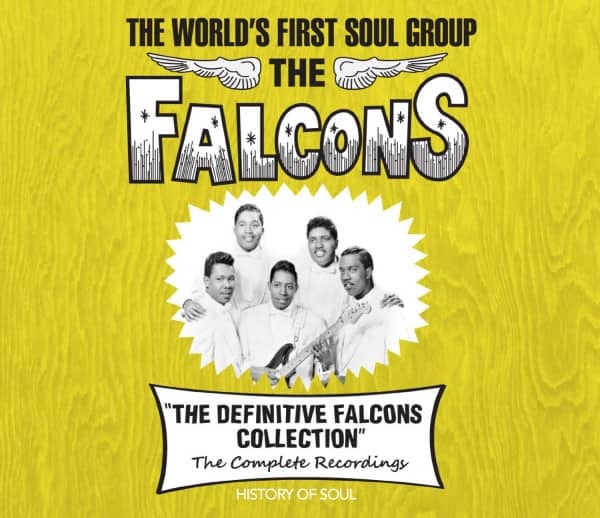 4-CD set brings together all known recordings by the original Falcons, along with alternate takes, guest appearances, cover versions and songs musically supervised or written by members of the group. 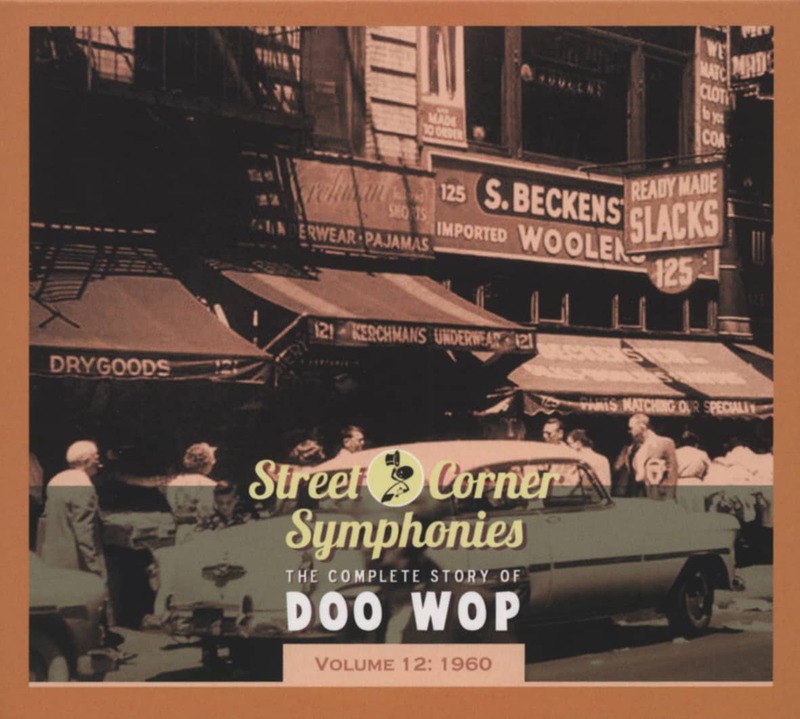 Solo recordings by group members are also included from 1956 to 1963, the time they were recording together. The set is also, in a sense, a history of soul itself, showing how the genre develops from its early stirrings in doo-wop, taking in R&B and gospel along the way and culminating in two of the very first records that can definitively be described as soul: the Wilson Pickett-led tracks Take This Love I’ve Got and I Found A Love, the first two tracks on this compilation. Sleeve notes by Keith Rylatt (author of Groovesville USA: The Detroit Soul & R&B Index). In the wake of their #2 R&B/#17 pop smash You're So Fine in the spring of 1959, which deftly straddled the increasingly imperceptible fence demarcating doo-wop from soul, the Detroit-based Falcons were in heavy demand among record labels. Manager Robert West had originally released the single on his Flick label, only to lease it to United Artists' Unart label. Flick issued The Falcons' next offering, You Must Know I Love You, in mid-1959, but Unart issued their You're Mine that August. Chess chimed in with Just For Your Love, their second hit, late in the year. It rose to #26 R&B and turned up again the next year on Detroit's Anna Records. All of those singles featured the lead tenor of Joe Stubbs, brother of The Tops' Levi Stubbs, who came into The Falcons along with baritone Mack Rice and guitarist Lance Finnie after co-founders Eddie Floyd and bass Willie Schofield switched from an integrated lineup to an all-black one. "His voice was different," says Eddie of Stubbs' pungent pipes. "Little Willie John had the same distinctive-type voice." Elevated to the parent United Artists label, The Falcons got the full-orchestra treatment on a cooking The Teacher, UA arranger/producer Don Costa replacing West behind the board and calling in strings to decorate its surging groove. Stubbs' lead delivery was as sharp as ever. With Waiting For You on the B-side, The Teacher came out in May of 1960 and proved an #18 R&B seller that summer. Stubbs only had one more Falcons release, pairing Wonderful Love and I Love You, before he left the group. Joe still had plenty left in the tank, singing with The Contours and Originals at Motown during the mid-'60s before joining 100 Proof Aged in Soul on their 1970 gold record Somebody's Been Sleeping for Holland-Dozier-Holland's Hot Wax imprint. His replacement was far more gospel-influenced, his delivery harsher and more intense. His name was Wilson Pickett. Kundenbewertungen für "Definitve Falcons Collection (4-CD)"